Want to franchise your existing business? Want to recruit more quality franchisees? We recruit for some of Australia’s most exciting brands. At Franchise 4 U we believe in building successful business but successful businesses ironically are built by successful people that are good at what they do and have a genuine skill or craft in their line of work or business they own. At Franchise 4 U we specialise in helping Franchisors recruit better quality franchisees and more of them. Although our company may be a young business in Australia, we are very experienced in this area of franchising. One of the many services we offer cover the 2 main problems that franchisors have; Lead generation and the actual process/skill set of recruiting. When Ascertaining Which Franchise is right for you it is important to ensure that as a prospective franchisee you understand your financial position and capability to fund the purchase of your chosen franchise. A vital part of your franchisee due diligence process should be obtaining independent legal advice, and we would always recommend using a franchise lawyer who is experienced in franchise documentation and the franchise code of conduct. In Australia, today there is a franchise operating in almost every type of business category, with varying levels of complexity and cost. Currently, we have five different venues: Scarborough, Joondalup, Forrestfield, and Mandurah with Hillary's Marina-coming soon (opening late 2018). We have a huge variety on our menu with consistency across all venues. We have been featured as having the best burgers in Perth and we have the best all-day breakfast. We also have salads, steak, chicken party, desserts, local and international craft and draught beers bottled and on tap, Wine, Sangria, cocktails, cold pressed juices & mocktails, Smoothies & Shakes and even fresh coconut. You'll feel like you've escaped to a hidden oasis when you step into your very own The Local Shack store. Walker’s Doughnuts began trading in August 2006 in one of Melbourne’s most iconic landmark sites in the Melbourne CBD opposite Flinders Street station.From here the business very quickly became a true Melbourne icon serving the thousands of daily commuters, CBD workers, students, tourists etc with the most amazing doughnut creations that stem back to old and true well-loved flavours with an old world American charm. 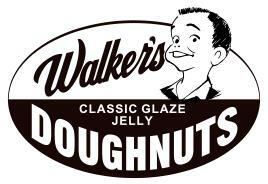 Food fads come and go, but Walker’s is eternal. The classic combination of our own exceptional hand-cut fresh Doughnuts, our delicious classic heritage USA Hot dogs, Soda fountain Milkshakes and unique barista-developed Walker’s eight-bean blend Coffee makes it an unbeatable combination for a takeaway destination. Kitten D’Amour, a Fashion Brand like no other! Kitten D’Amour create exquisite & exclusive evening and daywear of the highest quality, beautiful shoes, handbags, accessories, lamps, fragrances and homewares. Kitten D’Amour have successful boutiques at Pacific Fair on the Gold Coast, at Westfield Chermside, Indooroopilly and at Westfield Carindale in Brisbane. In Sydney, Kitten D’Amour have shops at Castle Towers, Westfield Chatswood and at the iconic Queen Victoria Building. From birthday parties to corporate events and weddings, cupcakes are used to celebrate any occasion. All our cupcakes and cakes are baked fresh every day. We have over 19 assorted flavors and use the finest ingredients, which are all natural with no artificial preservatives. Cupcakes are not only for special occasions, they are also a main revenue driver with many people choosing a cupcake and coffee combo as they walk past these irresistible treats. The Cupcake Desire saw an opportunity to be the number one choice when cakes are sought and plan to continue being the first choice when people want a treat. The edge we have over our competitors is that we have a distinctly recognizable brand, an excellent quality product and the ability to take our customers out of the worries of the day and into a warm and friendly place where they can relax and enjoy being with friends and family. Coco Cubano brings you a Cuban inspired menu in a setting that’ll have you feeling like you’re in down town Havana. 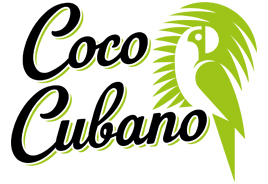 Coco Cubano has been one of the fastest growing franchise hospitality groups in Australia. Coco Cubano’s appeal spans a variety of age groups and demographics. There are plenty of reasons and occasions that drive visitation for different audiences. EARL Canteen is a champion of absolute quality; a no-compromises business philosophy with focus on consistency, friendly service & speed of delivery. A fast-paced cafe group in Melbourne CBD, founded in 2010 based around some much applauded fancy sandwiches and developed into the industry leader of fast, quality food & speciality coffee. A tattoo is a mark of experience, and Celebrity Ink™ will help you tell your story in a way that is unique. When you want to keep something you’ll never forget or immortalise a bond, our artists have got you covered. People love their cafes and it has become the social fabric of our everyday lives. It’s a place we catch up with friends, meet new friends, a place for go for business meeting or just to stop and relax and grab a bite to eat. In fact, for most of us we spend more time in cafes over the year than we spend away on our holidays. Cowch Dessert Cocktail Bar is Australia’s most innovative dessert and cocktail offering. Whether you’re looking to entertain the kids, spend a night with the girls, or just put a smile on your face, Cowch is the place to do it. With an exciting and fresh feel, the Cowch brand is all about innovation and fun. Whether it be our kids dessert making classes, or cocktail making for a hens nights, Cowch delivers on a single promise of creating memories for any group. If you need convincing, stop by and let us show you why we’re the brand to be a part of.